The walking path along the bottom of Todoroki Valley splits off into several areas that include gardens and Todoroki Fudoson Temple. It’s easy to get swept away by the pulse of neon and riot of information that surges throughout Tokyo every day. However, on a tour highlighting the city’s more tranquil locales and the farther flung charms of Ishikawa Prefecture to the west, I found they shine just as brightly for travelers seeking a quieter adventure. 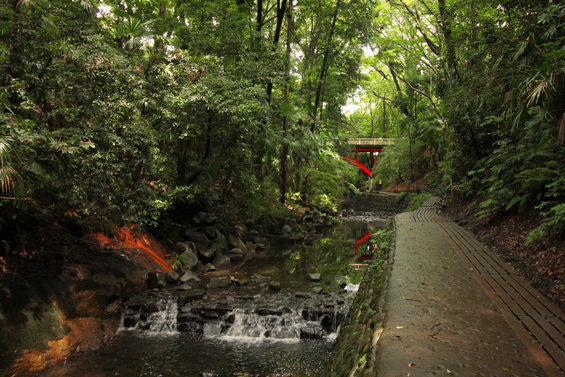 It’s hard to believe, but the sleepy Todoroki Valley in Setagaya Ward is part of Tokyo. Three steps down the stairs leading to the valley floor are all it takes for the urban backdrop to melt away, revealing this jungle hideaway’s narrow, well-kept path that winds alongside the gentle Yazawa River. 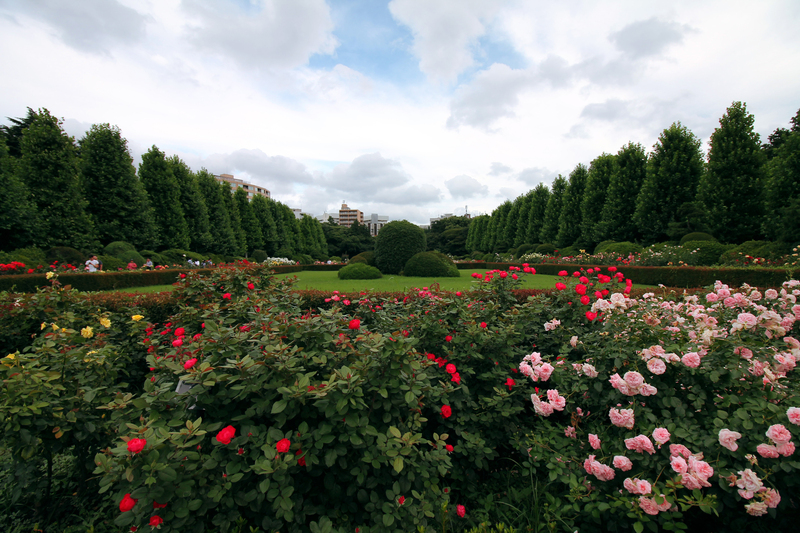 Rose beds in Shinjuku Gyoen’s French formal garden. 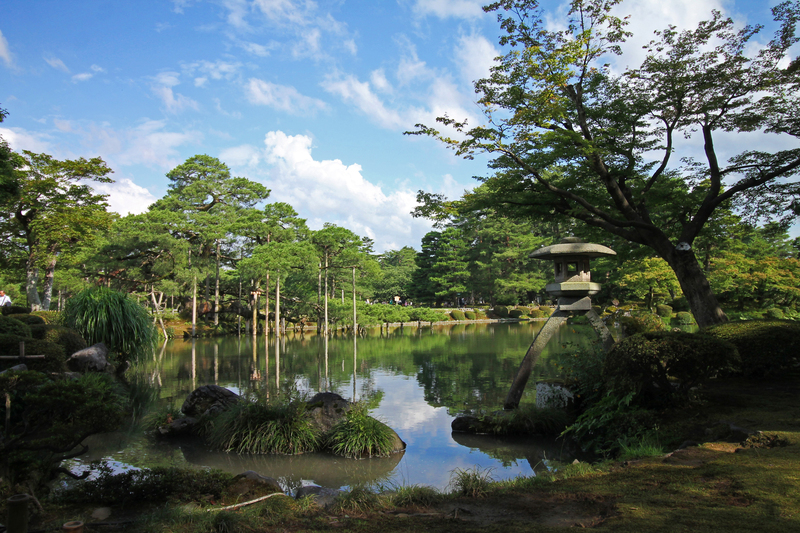 The park was originally owned by Lord Naito, one of Tokugawa Ieyasu’s vassals. A bowl of ramen and a sake flight later, I was met with another surprise in one of the city’s busiest districts. Outside of hanami (cherry blossom viewing) season, Shinjuku Gyoen’s sweeping gardens are an idyllic space to picnic, nap and recharge. And, for those wondering about the potted Naito tōgarashi pepper plant, it may seem out of place, but it’s a small nod to the family that cultivated them when they lived there during the Edo Period (1603–1868). After a full day in Tokyo, it was time to head to Ishikawa. Thanks to the relatively new route carved by the Hokuriku Shinkansen, the previously secluded west coast now has a direct link to Japan’s largest city. Ishikawa’s capital, Kanazawa, is essentially Kyoto without the maddening crush of hundreds of other tourists. It’s a chic blend of tradition and modernity — the roughly 300-year-old Omicho Market being one example of many. Now housed in a sleek black building, its winding paths reveal a plethora of the region’s phenomenal produce and seafood, such as sweet eel and buttery sea urchin. Kasumi Pond in Kenrokuen Garden is surrounded by some 8,750 trees, including a neagarimatsu (raised root pine) tree that’s around 170 years old. Other historical areas accessible on foot or via the straightforward Loop Bus (a day pass is ¥500 for adults and ¥250 for children) are the geisha houses and gold leaf wares of the Higashi Chaya district, the Nagamachi samurai district and Kenrokuen Garden. 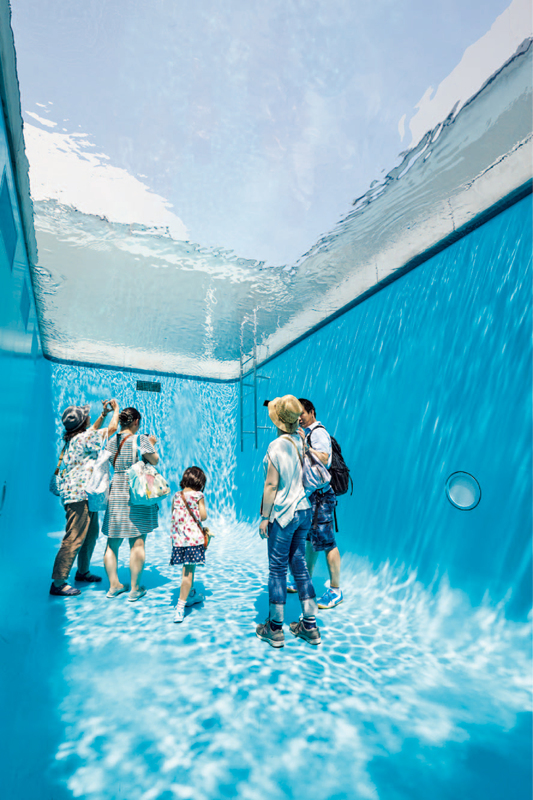 Leandro Erlich’s “The Swimming Pool” is the most popular permanent exhibits at the 21st Century Museum of Contemporary Art in Kanazawa. This sprawling garden is located adjacent to Kanazawa Castle and is home to an impressive array of carefully cultivated living history; five gardeners tend to the garden’s iconic neagarimatsu (raised root pine) tree that’s around 170 years old, removing dead needles by hand. Standing across the street is the 21st Century Museum of Contemporary Art — surprisingly not out of place despite its name. It’s a celebration of art without pretension; local exhibitions also display community art alongside professional creations. Looking beyond the city is the Noto Peninsula that I’d argue reveals an even richer side of Ishikawa. 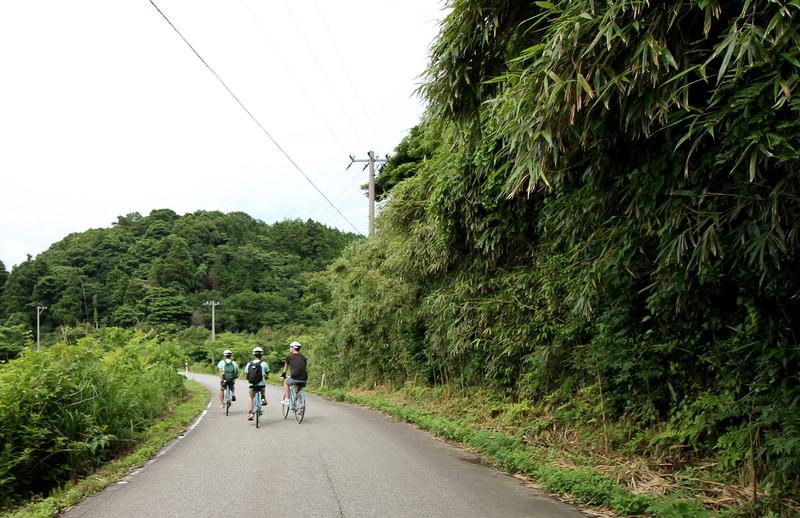 The inspiring Noto Note cycling tour, led by two young men who left Osaka to work more closely with the environment, along Notojima’s coast was easily the highlight of the trip. Meandering past their elderly neighbors’ farms while casually chatting about wild boar eating their crops as hawks soared overhead was a brief glimpse into a world not many ever see. Noto Note holds bicycle tours in English and Japanese that span Notojima and its coast, teaching visitors about daily life and traditions. Over in Wajima, the Kiriko Art Museum has a similar effect. 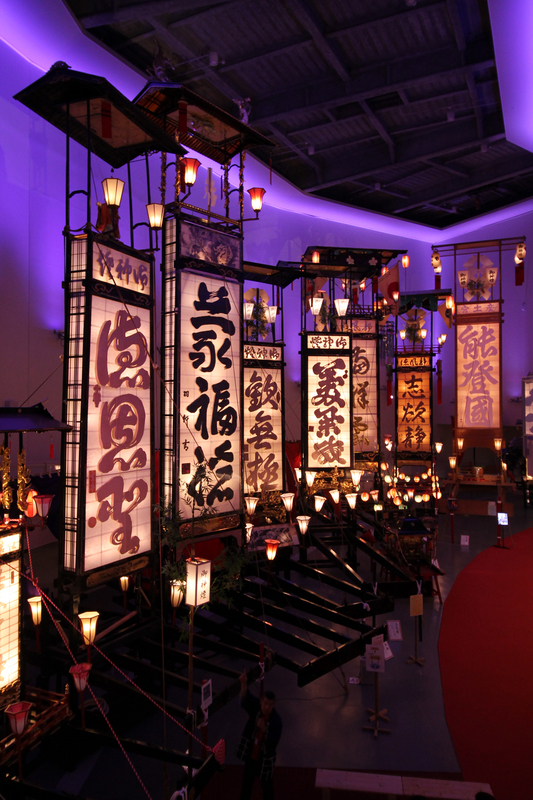 This awe-inspiring space was created to display the enormous lantern floats unique to the region’s festivals. Seeing these impressive floats gave me a physical sense of the area’s urgency as it continues to struggle to simultaneously preserve old ways while evolving. It’s a bittersweet, but infectious side of lifestyle-based tourism that, for me, made this experience more immediate and meaningful compared to the usual must-see stops Japan advertises. It’s one thing to read about Japan’s farming lifestyle, the woes of dying towns and population decline, but it’s quite another to see it firsthand, offset by the quiet fire of local pride. The towering lantern floats of Wajima’s Kiriko Art Museum are unique to the region and can stand as tall as 40 meters and weigh up to 2.5 tons.